If this newsletter does not display properly with photos, please view it online. We hope that all members will support them as they lead our organization though the next two years. 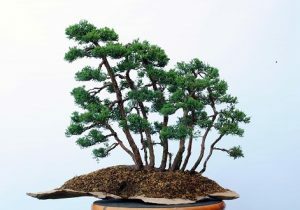 I began studying bonsai in Richmond where I learned the basics under my mentor Mr. Dan Kalman. During March 2008, I became a member of RBS. Our club will continue providing more work/study groups, quality speakers, and opportunities to grow members’ knowledge and love of the art. *Check with individual clubs for details and visitor policy. We had a great time together at the event and even saw some new faces. Our largest group yet of RBS members gathered and worked on trees. It’s good to bring hard materials to these activities to allow for help and discussion of your trees with other members. We wired and pruned a variety of trees and worked on a new piece from nursery stock. Working together is always fun and informative. Azalea Workshop with Joe Gutierrez –June 25, 10 am -4 pm. This event is FREE to all RBS members and friends from other clubs. Joe Gutierrez from the Northern Virginia Bonsai Society, who is well known for his work with azaleas, will come and work with us on azaleas all day. Please bring you own azaleas, tools, and other materials as needed. We will have a relaxed workday and probably order out for lunch. This event will take place at our normal meeting place, the Community Room at St. Mary’s Woods. June Meting Monday, June 27, 7-9 pm. This will be a Bring Your Own Tree Workshop. Spring growth has slowed so it’s a good time for wiring. Also, since the weather has warmed up, it’s also a good time to start working on tropical trees. Please bring you own trees, tools, and other materials as needed. This event will take place at our normal meeting place, the Community Room at St. Mary’s Woods. July Member Study Group/Workday Saturday, July 9, from 10 am to 4 pm (pushed back a week because of the Independence Day Weekend). July Meetings/ Slab Workshops We decided last year that we wanted to make individual concrete slabs to be used in a slab planting later this year. This comes with a number of challenges to our normal meeting style because of space, materials, mess, and time needed. So what we settled on was a series of small group workshops in Thomas’ back yard the last 2 weeks of July an first 2 weeks of August. Thomas will send out a few messages and invite members in small groups to make slabs in his back yard. His schedule is wide open and amenable to just about any day or time. Slabs can stay there and cure for a few days (covered) without being moved. So watch for further notices. Also, there will be a materials cost for this, but under $20 (TBD). Members are encouraged to study up on the slab making process and also to start preparing materials to put on their slab later this fall. Web Page Development: As you know, we recently revamped our web page. We are looking to increase our content. If you have thoughts or ideas, links, or other content that you think would be good to add, please share this with Thomas. This month, I have left this space empty because I would like to encourage (beg, plead) all readers to please consider submitting original articles, stories, experiences, and photos for our monthly newsletters. Often, if there is not a new article, we republish something from the past, but we need new content. We want to hear about your bonsai experiences. If you need help with editing, that is not a problem. Contact Thomas for more information.